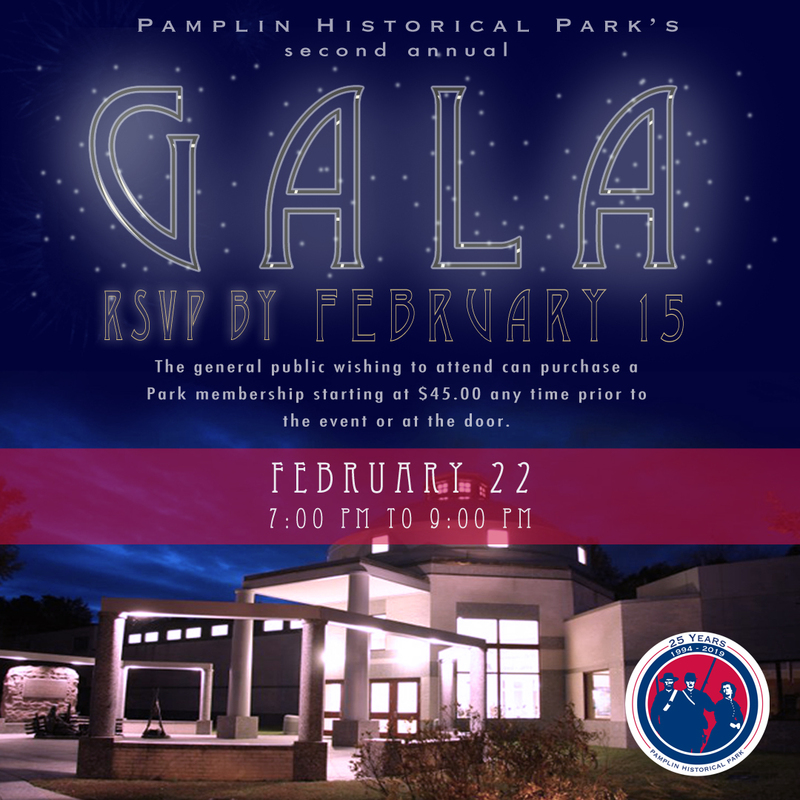 Pamplin Historical Park & The National Museum of the Civil War Soldier is hosting its 2nd Annual Membership Gala. Park members are invited to RSVP by February 15, 2019 and the general public wishing to attend can purchase a Park membership starting at $45.00 any time prior to the event or at the door. The evening will feature a State of the Park address by Executive Director, Jerry ‘Dez’ Desmond, followed by special tours of the Museum’s new gallery highlighting the famous and infamous and what happened to the average soldier after the Civil War ended. Guests will also have the opportunity to win door prizes, participate in a silent auction, enjoy hors d’oeuvres, live music and an open bar with beer and wine. Amazing door prizes and silent auction items are provided by our sponsors. Special thanks to our sponsors; Buttermilk Bake Shop, The Bucket Trade, Casemate Publishers, Dixie Restaurant, Escape Old Towne, Firehouse Subs, Fort Lee Federal Credit Union, Gold’s Gym, Osprey Publishing, Sam’s Club, Saucy’s BBQ, Savas Beatie, Shire Publications, Virginia Motorsports Park and W. Britain Toy Soldier & Model Figure Company.